Is a community photography studio available to rent for photographers of all skill levels. The studio exists to provide a space for experimentation, learning, and to use for business. Ave Studio is a community photography studio measuring 13X21 with a 10' ceiling down the center that tapers off to 9' at the walls. Basic rental includes access to V-panels and pulley operated backdrop system on the east and south walls. Natural window light from the south can be bounced and deflected. Window makes for elegant left-to-right natural lighting that graces the background area measuring 10X9. A mirror with tabletop for accommodating creative styling needs while in production. Basic studio rental includes access to stands and an assortment of grip equipment and clamps. A 6X6 frame with 1-stop diffusion material is available for use along with a mobile cart that doubles as wardrobe hanger with storage below. Three wall mount booms on the east, west and north walls can support up to 10 lbs. of weight. 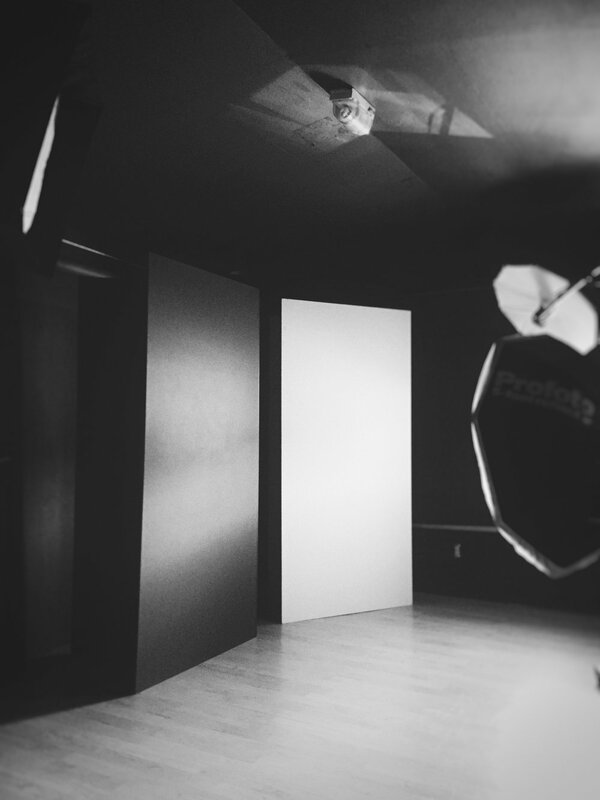 Basic rental includes use of seamless backdrops in white, thunder-gray and green screen. Within reach of two wall mount booms, the East wall is ideal for multi-light productions with a tidy set. With a 21' run and 13' of width the south view is ideal for projects that require movement and open space. Ave Studio is a community photography studio operated by Oscar Avellaneda-Cruz out of the artist-maker-space Anchorage Community Works. Anchorage Community Works, is an artist-maker space warehouse in the industrial Ship Creek area of downtown Anchorage, AK.